, Mentos and Red Bull launching branded gaming apps, the space seems to be increasingly important for marketers aiming to reach new consumers. 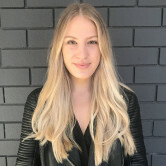 Boost Juice marketing manager Nikki Price told AdNews the game aims to create brand noise and reach new levels of engagement in the digital space and brand noise. “The game has been designed to drive new and current customers to interact with the brand on a new platform different to that of our current mobile ordering app and social platforms," she says. “With traditional above the line media you capture the consumer’s attention for 30 seconds, so far the average game play on Free the Fruit is 18.5 minutes and to have a consumer engaged with our brand for this time is invaluable." The app provides rewards to consumers including time sensitive vouchers with the intent of increasing frequency into store. When it comes to mobile gaming apps brands are inching towards Tetris territory, and keeping brand messages and products loosely incorporated has proven to keep consumers interested. Boost Juice worked with Millipede, known for its work on McCann's Dumb Ways to Die, as the production partner for the game. Millipede founder, Wil Monte, says the biggest challenge when creating a game for a brands ensuring the user does not feel like they are being overly advertised to. “Unlike a traditional marketing method like a TV commercial, we can engage audiences for much longer sessions, more frequently and on the player’s terms, which means even just a little bit of branding, can go a really long way," Monte says. 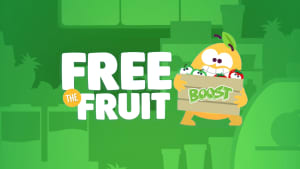 Boost Juice has launched its branded gaming app, Free the Fruit, to engage with customers on a different platform and raise brand awareness. The game was developed in response to Nielsen research that showed 12% of the time spent on smartphones is on games. With top brands including McDonald’s, Lego, Mentos and Red Bull launching branded gaming apps, the space seems to be increasingly important for marketers aiming to reach new consumers.